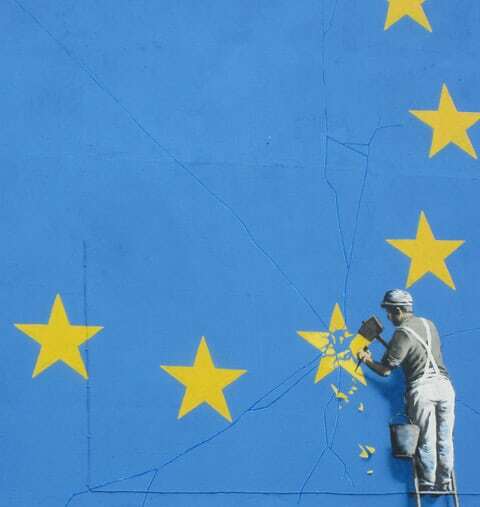 What does Banksy think about Brexit? Visitors on the ferry between Dover, England and Calais, France can tell you: he’d like to see the job done with industriousness. A giant new mural by the elusive British artist, featuring a metalworker chipping one of the stars off of the bright blue European Union flag, has just appeared on the side of an amusement facility near the Dover ferry terminal. Read the full story over at The Guardian.